Christmas Keepsakes is a beautiful quilt designed by Jennifer Bosworth of Shabby Fabrics. 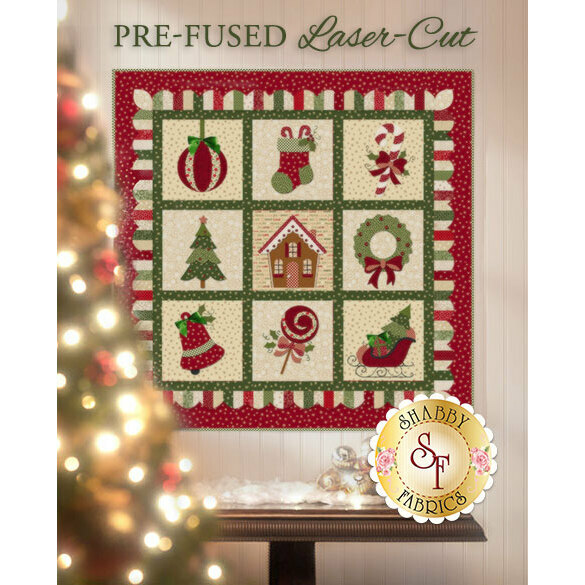 This darling 36" x 36" quilt was sewn with Marcus fabrics and features appliqued blocks in classic Christmas shapes and colors. The pretty scalloped inner border and embellishments add the perfect finishing touch to this adorable holiday wall hanging. This Kit will include the Christmas Keepsakes Pattern Book, all top fabrics, embellishments, embroidery floss, and backing. All applique fabrics will be backed with Heat n Bond Lite and laser cut to size. All you need to do is peel off the paper backing, iron in place and stitch around the edge to secure! Looking for matching thread? We have a coordinating 6-pc 50 wt. Tire Silk Set available that can be used for either machine or hand applique. 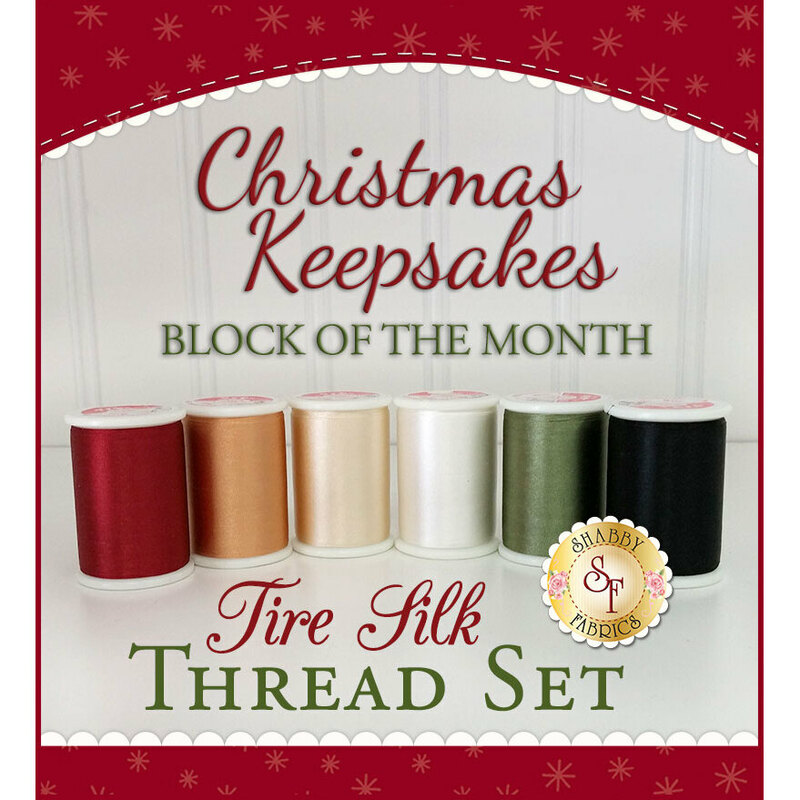 By purchasing these threads as a set, you are saving 10% OFF each spool! Add the thread set below.